"Give light, and the darkness with disappear unto itself." 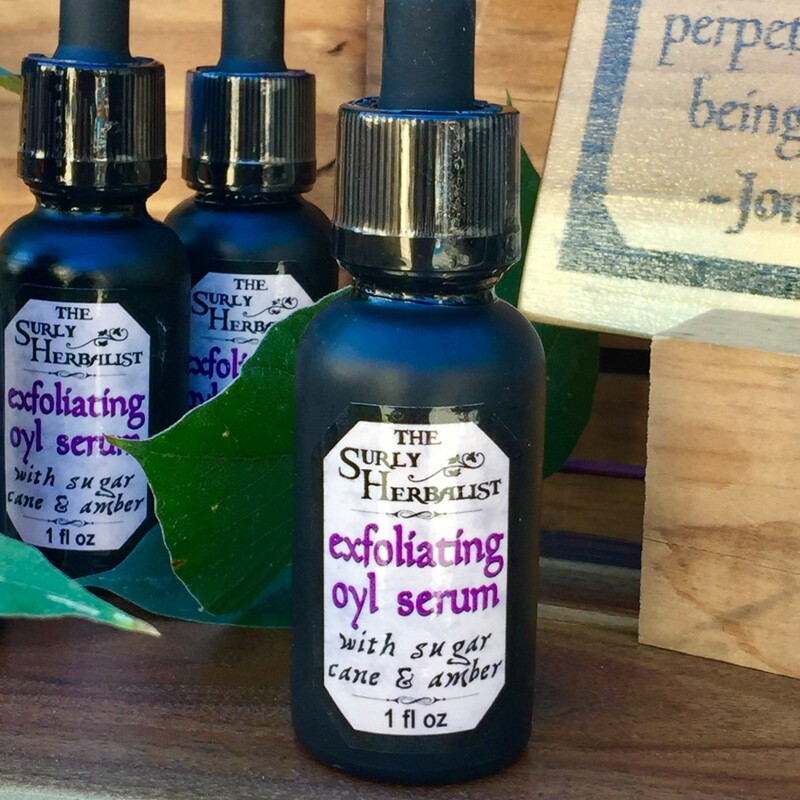 Gentle exfoliation in this herb infused serum designed to care for photo-damaged skin. ingredients: macadamia nut oil infused with organic herbs (gotu kola, licorice root, marshmallow root, nettles, rose petals, shavegrass), sunflower seed oil, fractionated coconut oil, extracts of amber, sugarcane & cucumber, essential oils of geranium and pink grapefruit.